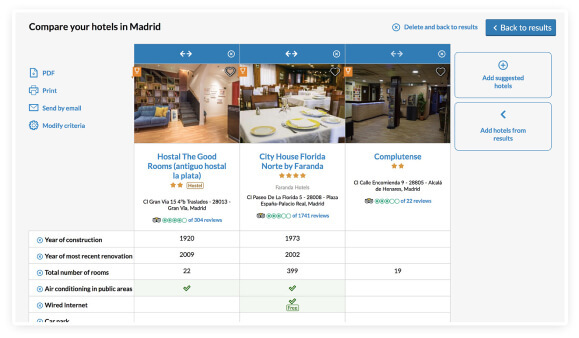 We have the most powerful booking engine for travel agents, an unrivalled booking platform designed with you in mind. Loved by more than 60K travel agents, our philosophy is simple: to give our clients a platform that is intuitive, fast and stable. 70% of our clients say the simplicity of our booking platform is the top reason they work with us. The hassle of searching has been eliminated. 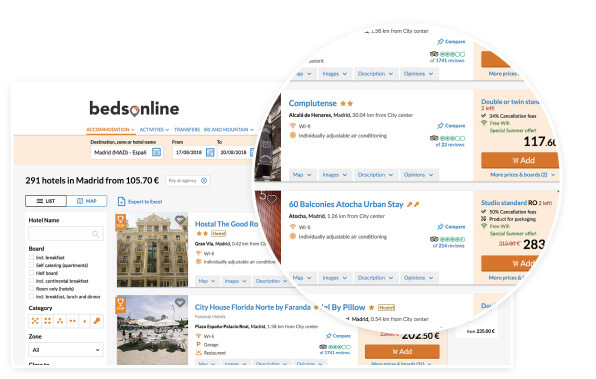 Now you can search by hotel, destination, zone, and even place of interest. Our ranking algorithm has been developed 100% in-house and ranks properties to provide better value search results. With over 20 filters available you can very quickly refine your searches based on your clients’ requirements. 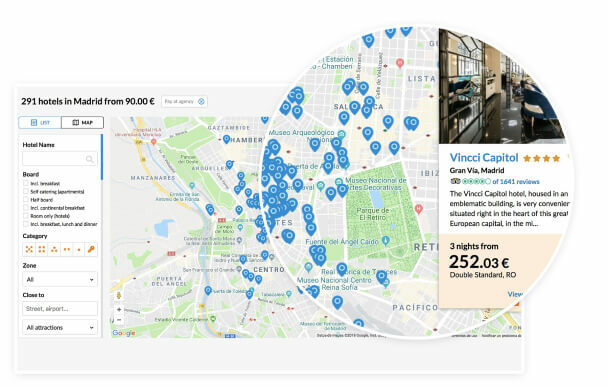 Sort and filter using our map tool to ensure your customers find the right accommodation in the right place. 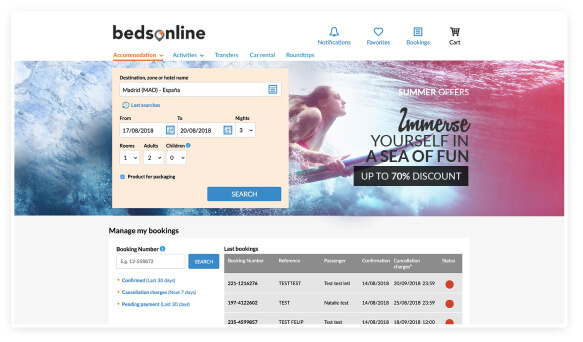 The Bedsonline comparison tool allows you to painlessly compare all the features of up to 4 hotels and then print, create a PDF or send by email to your customer. 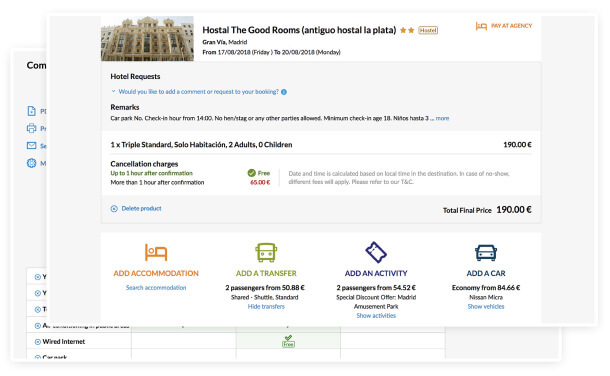 Easily add activities, tickets, or shared and private transfers within the same booking process helping you save time and earn more. 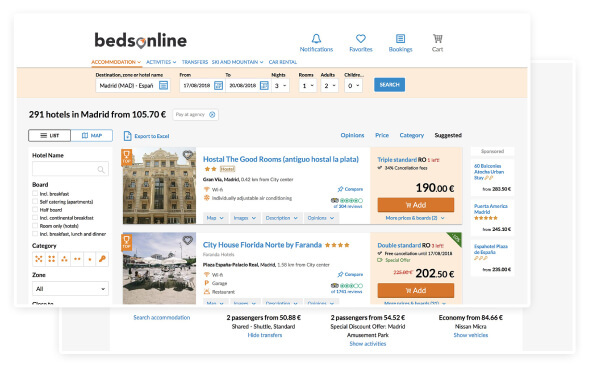 Get access to the most powerful search engine for travel agents.